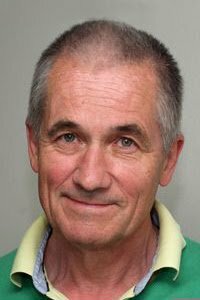 This week, we talk to Professor Peter Gøtzsche who is Director of the Nordic Cochrane Centre in Denmark. Professor Gøtzsche graduated as a master of science in biology and chemistry in 1974 and as a physician in 1984. He is a specialist in internal medicine; worked with clinical trials and regulatory affairs in the drug industry and at hospitals in Copenhagen. He co-founded The Cochrane Collaboration and established The Nordic Cochrane Centre in 1993. In 2010 he became a professor of Clinical Research Design and Analysis at the University of Copenhagen. Peter has published more than 70 papers in the mainstream medical journals and his scientific works have been cited more than 15,000 times. He is also an author and his books include Deadly medicines and organised crime: how big Pharma has corrupted healthcare published in 2013 and in 2015 he published Deadly Psychiatry and Organised Denial. I was keen to talk to Professor Gøtzsche about his background in research, his views on antidepressant prescribing and how pharmaceutical manufacturers have influenced mental healthcare. There are few with his knowledge and understanding of psychiatric medications. How drug manufacturers have denied for more than 20 years that benzodiazepines and antidepressant drugs cause dependence. How the UK drug regulator (MHRA) also denied this in 2003 at the same time that the World Health Organisation reported that 3 antidepressants were in the top 30 list of drugs that create dependence. That surveys of patients show that between 50% and 66% of those taking antidepressants experience dependence. That the chemical imbalance lie is still being propagated amongst psychiatrists even thought there is no scientific evidence whatsoever to support it. That the Cochrane Collaboration undertook the most rigorous meta-analysis ever undertaken of 131 trials involving 27,422 patients taking SSRI’s, this analysis showed that antidepressants do not have any meaningful effects and their harms outweigh any benefits there might be.